Every seasoned investor knows the 70% rule and how to use it when making offers on real estate. But can you ever use a different percentage? And if you can, what are the instances when you use a higher or lower percentage as a starting point for your offer? How to make good offers is one of the most important things to know when you are a real estate investor. In today's video, I have some tips for when it's OK to deviate from the standard 70% rule. I love this! I had a similar standard but at 65% and in hindsight I wish I would have followed the 70% rule which would still have allowed for a satisfactory margin. My origins in receiving hard money for flips made me conservative and I’m a creature of habit. And as many know being too conservative can keep you from making money as easy as being reckless can. Awesome!! Love the 70 rule!!! Hi Matt – I think using hard money can play into formulas depending on how much the money is costing you and the area you are investing in. If I am buying in an area that is a little more of a border area, then I will often use 65% for that house. The other thing to consider is the ARV of the house. In general, the margins on lower cost houses is slimmer than on a more expensive house. In the end, it’s not a deal if you can’t make money. Don’t be afraid to trust your gut. Thanks so much for your comments. I saw you on YouTube and came to your site, you have some great information. One thing you had mentioned on your video was that I could find some forms like a property information form, Inspection form, sales and purchase contract, etc. on your website. I am having some trouble finding them, could you direct me to the right place? I am a new investor and am looking for all the tools of the trade. They are in different places. Send me an email so I ca attach them when I am back in the office. 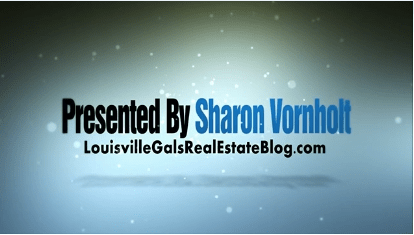 sharon@sharonvornholt.com.